Delivery time: Due to size or weight this item isn't available to ship from our store. 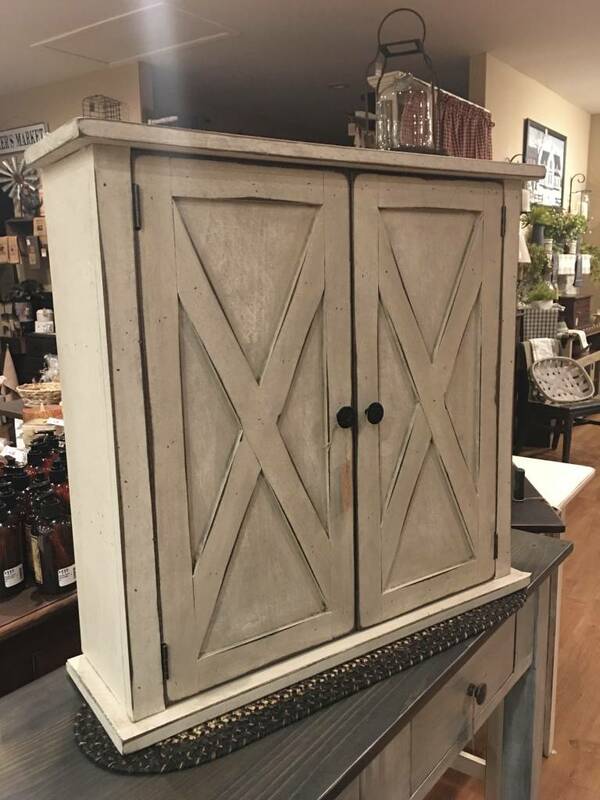 Thank you for choosing to shop with us and considering our Farmhouse furniture! Bring a timeless touch to your Colonial or traditional home with this Hanging Shaker Cabinet. Made of only the finest woods with a black over red finish this is sure to be an heirloom for generations. From the workshop of Kenneth James. 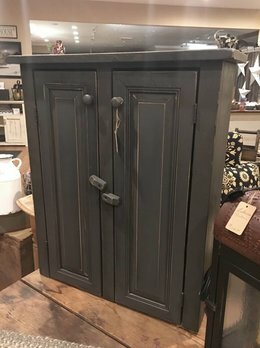 This Two Door Wooden Grey Cabinet is perfect in the small spaces of your cozy home! Great for DVD's, collectibles and many other things. Made of solid wood in the USA. Available for local pick-up only. Bring a timeless touch to your Colonial or traditional home with this Hanging Shaker Cabinet. Made of only the finest woods with a red over black finish this is sure to be an heirloom for generations. From the workshop of Kenneth James.